Dynamic Web Inventory is Live! 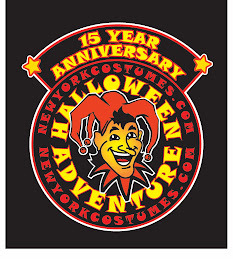 After months of overhauls and updates, our dynamic web-viewable inventory is now live on NewYorkCostumes.com! We've been working hard to get tons of our in-store products up on our inventory page, where customers can check the stock status of items in our shop. Though we don't yet have every item up online yet, we do have a LOT up there. You can see the dynamic inventory pages here: New York Costumes Inventory. The inventory site has both browse and a search options, along with photos of the items listed. One thing the inventory site is not is a web store; there is no shopping cart or check-out feature, and it is not for placing orders online. Rather, it exists to give visitors an idea of what we've got in stock in our splendid brick & mortar shop here in Manhattan's East Village. More store products are being uploaded to the inventory site every day. Check it out, get an idea of what products are in stock, and come on down to the store to enjoy the crazy and creepy atmosphere of the physical shop itself!